Next Insurance, the leading digital insurance carrier for small businesses, announced its launch of a new commercial auto insurance policy. Like all Next Insurance products, the offering is available entirely online, and the company has eliminated all extra fees. 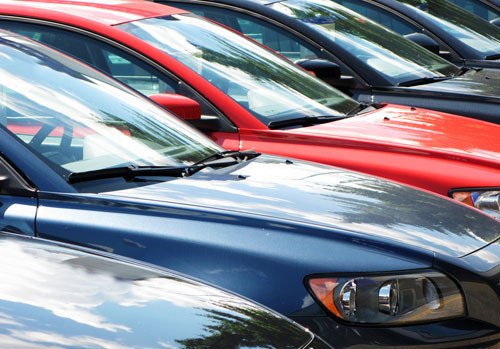 Small businesses can now purchase a commercial car insurance policy separately, or at a reduced price when bundled together with liability insurance. The addition of a commercial vehicle insurance policy to Next Insurance's product lineup reflects the company's vision to serve as the single, comprehensive insurance provider for small businesses and entrepreneurs. Until now, small businesses have often had to purchase liability insurance and commercial automotive insurance from separate insurers through time-consuming and inconvenient processes that burden consumers with extra costs. Now, Next Insurance is simplifying the purchasing process and passing significant savings onto consumers by offering both liability and commercial auto insurance policies. The policies can be bundled together and purchased entirely online, advancing Next Insurance's model of providing simple, affordable, and tailored insurance for small businesses. "Introducing our commercial automotive product is a major milestone for us as we become the single source for all small business insurance needs," said Guy Goldstein, CEO and Co-founder of Next Insurance. "Our commercial auto insurance offers the convenient, quality coverage customers have come to expect from Next Insurance, all at prices that are affordable for all sizes of business." Next Insurance crafts its commercial vehicle insurance policies based on thorough research into the unique coverage requirements of individual classes of business. Every policy level provides substantial coverage, so customers can remain confident that with any Next Insurance policy, they are adequately protected. Business owners can select the level of protection that's right for them according to their desired level of risk and budget. Business owners can also select from several limits and choose whether to include protection for their own vehicle (when used for business purposes) on top of the liability auto coverage required by law. Next Insurance policies offer coverage for up to four different vehicles and eight drivers. The company has launched commercial automotive insurance in six states (Arizona, Colorado, Indiana, Illinois, Minnesota, and Ohio) to date, and will soon be in all 50 states. The launch of the commercial automotive insurance offering comes on the heels of Next Insurance's recent Series B Funding Round, in which it raised $83 million, bringing its total funding to $131 million in two years. In May 2018, Next Insurance announced its newly-acquired `status as a national insurance carrier. As a carrier, Next Insurance is now writing policies independently, with far more freedom over underwriting, setting prices, and configuring policies. Next Insurance is transforming small business insurance with simple, affordable coverage, tailored to the needs of each class of business. Next Insurance offers policies that are easy to buy with instant, 24/7, online access to certificates of insurance and the revolutionary, new Live Certificate, additional insured, and more with absolutely no extra fees. Revolutionizing traditional insurance processes, Next Insurance is utilizing advanced technology to offer the industry's most innovative small business insurance policies. Founded in 2016 by a team of serial entrepreneurs, the company is headquartered in Palo Alto and has received a total of $131 million in venture capital funding from Redpoint Ventures, Nationwide, Munich Re, Markel, American Express Ventures, Ribbit Capital, TLV Partners, SGVC, Global Founders Capital and Zeev Ventures. For more information, see how Next Insurance performed in the first half of 2018, and learn more about Next Insurance becoming a carrier. For more information about the company, visit https://www.next-insurance.com/. Never miss a story on commercial auto insurance.